My hubby asked me to make a leaving card for a work colleague who is moving on to pastures new. She loves giraffes and I was asked to add one to it. 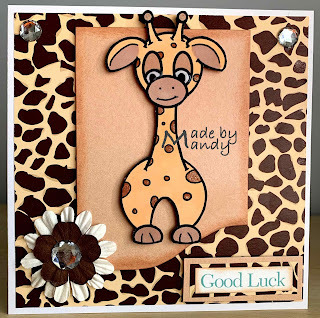 I myself love giraffes and already had this little cutie coloured so it was fairly quick to put together. 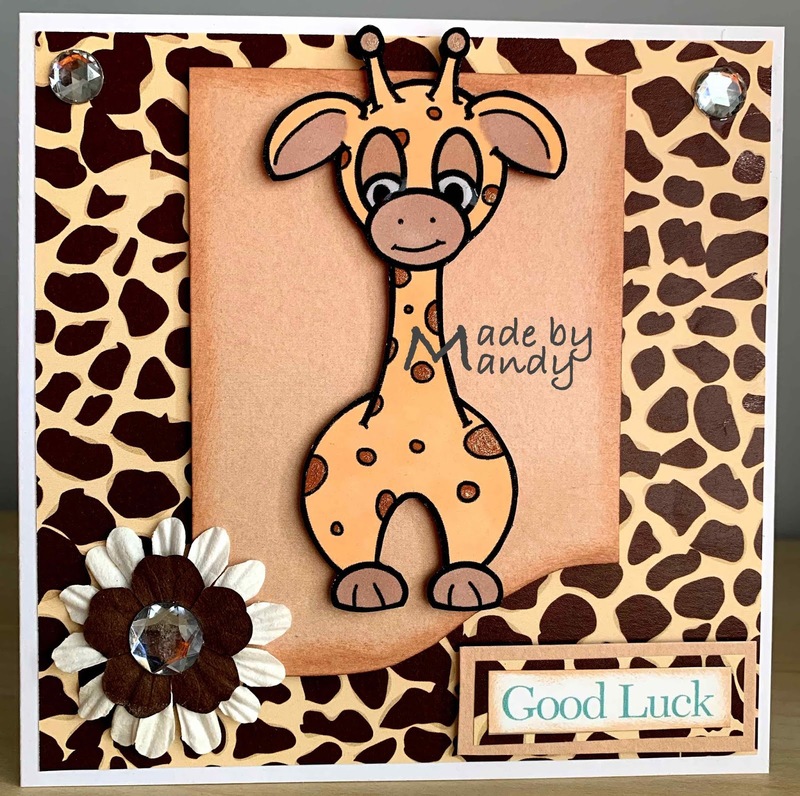 The image is Ollie the Giraffe from Limited Runs Digital Stamps. I have had it some time and cannot see on their site any more. It is coloured with Promarkers & Flexmarkers. here is some Sakura glitter pen added to the dots and glossy accents to the eyes to make them shiny. He was fussy cut and mounted on 3d foam. For the layout I used the current sketch from Sweet Sketch Wednesday 2. The paper is giraffe themed from my stash, I think it may have been a magazine freebie. The panel Ollie is mounted on was recycled from and old greetings card, cut into shape to match the sketch and distressed the edge with an ink pad. This is also layered up on foam squares. The sentiment is mounted onto layers of the same paper and card. To finish I added some paper flowers and gems to add a bit of girly twinkle. Card size – 5" x 5"